Role: Gretchen is responsible for managing Huron’s business development and investment sourcing activities, including outreach to deal professionals such as business brokers, investment banks, attorneys, accountants and consultants. Experience: Gretchen has over 25 years’ experience in the finance and business development sectors serving a variety of capital market participants. Prior to joining Huron, Gretchen led the acquisition sourcing efforts at Long Point Capital, a middle market private equity fund. 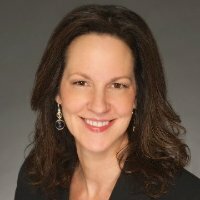 Gretchen also served as Vice President – Business Development for IRN, Inc., a market research firm, and has held senior business development positions at Fleet Capital Corporation and GE Capital Corporation, where she originated and structured senior debt packages for buyouts of middle-market companies. Education: B.B.A. from the University of Michigan. Board Affiliations: Gretchen is a Director at Large – Association for Corporate Growth, Inc. Global Board of Directors, a Director for the Detroit Chapter of the Association for Corporate Growth (ACG), the Co-Chair of the ACG’s Public Policy Committee, a Board Member for the Michigan Chapter of the International Women’s Insolvency & Restructuring Confederation, a Board Member for United Cerebral Palsy of Detroit, and a Mentor for the Women of Tomorrow organization which mentors at-risk high school girls. Personal / Interests: Gretchen was a highly accomplished French horn player in junior high and high school, and is not ashamed to admit that being in the marching band was a highlight of those years. She has a son and a daughter, and is an avid University of Michigan sports fan.